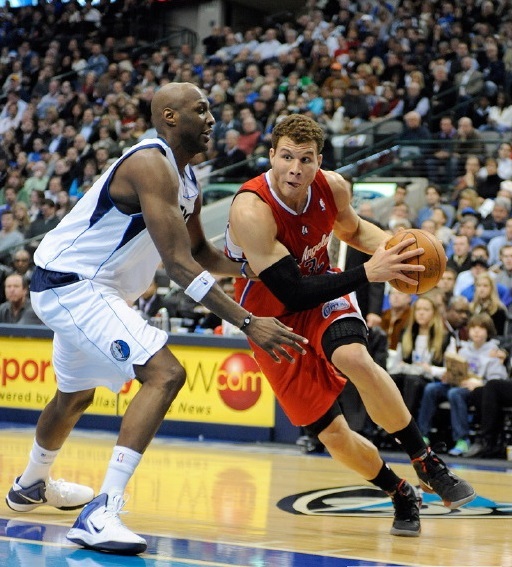 Blake Griffin drives to the basket on former Dallas Maverick, Lamar Odom. Are you a fan of the Los Angeles Clippers? If so, see your team take on the Dallas Mavericks this Saturday, January 10 at the Staples Center. The game begins at 12:30 p.m., and fans taking Metro will receive a 10% discount on authentic Clipper jerseys, hats, basketballs and more at the Team LA Store! To get to the Staples Center, take the Expo or Blue Line to Pico Station. The Metro Silver Line or Metro Bus 81 will also get you there. Use the Trip Planner or Google Maps to plan your best route. To receive the discount, show your TAP card at the Team LA Store register. You can also use the exclusive Metro promo code upon checkout when buying online at TEAMLA.com or ClipperStore.com. For more information on the L.A. Clippers’ game schedule or tickets, click here.